I backpacked in Morocco for a month and had a brilliant time. Its buzzing cities will keep you happily lost with their endless twisty alleyways, while its beautiful landscapes range from vast Saharan dunes to rugged Mediterranean coastlines. There is a lot to take in. Another thing I like? That Morocco feels like an utterly different world despite being just a stone’s throw from Europe. Budget airlines such as EasyJet fly directly to many Moroccan cities, and ferries from Spain take only about an hour to reach Tangier. Morocco is a great choice for an individual trip, but it can also be a perfect add-on to a European backpacking trip. 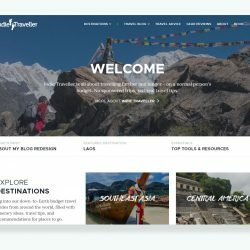 On this page I’ve collected my Morocco travel tips and itinerary advice, along with links to some other useful resources. While I enjoyed my time in Morocco, some cultural differences did make me slightly weary after several weeks. If you’re a Westerner it’s a good idea to read up on the conservative or traditional aspects of Moroccan culture, just so you know what to expect. More on this at the end of this page (including some potential issues facing female travellers). There are essentially three clusters of popular destinations in Morocco: one in the north around Fes, one around Marrakech and the High Atlas mountain region, and another one along the Atlantic coast in the south. I’ll talk about each of these in the next couple of sections. Having spent a month travelling in Morocco, I’ve been able to experience many different corners of this country. If you have a limited time to spend in Morocco, I can offer a few suggestions on places you might want to include in your itinerary. If you have just 1 week in Morocco and want the classic experience, you could probably simply go to Marrakech, do a day-trip to Essaouira, and do a Sahara tour. It will be a busy week and you’ll cover some obvious places, but you’ll definitely get to see a lot. It’s a common one week in Morocco itinerary. The Atlantic coast makes for a nice area to target for a more laid-back trip. There are many budget flights going from Europe directly to Agadir, so this can be a convenient entry point from which to start a one-week trip as well. 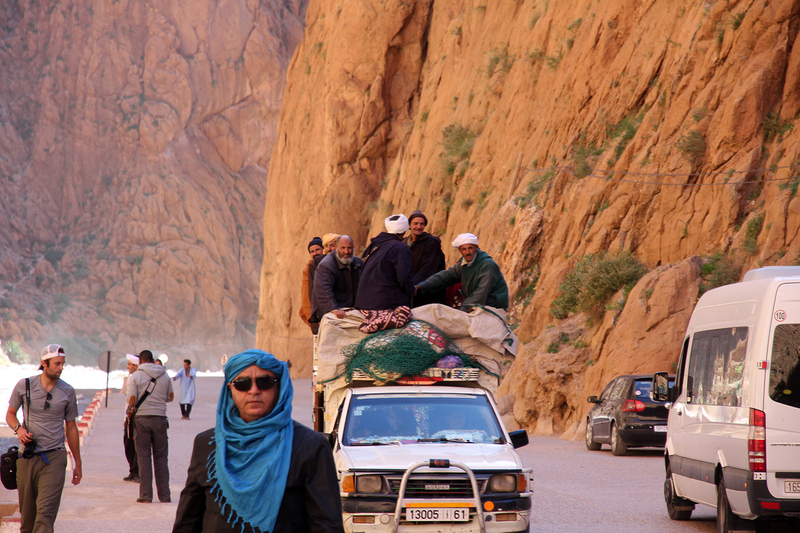 The north of Morocco makes for a great alternative to the typical Marrakech route. Tangier and Fez will give you the big city experience while a mountain town like Chefchaouen is a perfect base for experiencing Morocco’s nature. Focusing on the north also makes the most sense if you’re travelling around Europe and you want to add some Morocco to your trip, as northern Morocco is very easily reached from Spain as lots of ferries run throughout the day to Tangier and Tangier Med (a port about 30 minutes from Tangier city). There are also some ferries departing from southern France, so any of these countries can be conveniently combined into one trip. If you have at least 3 weeks in Morocco, you can cover most of the highlights. 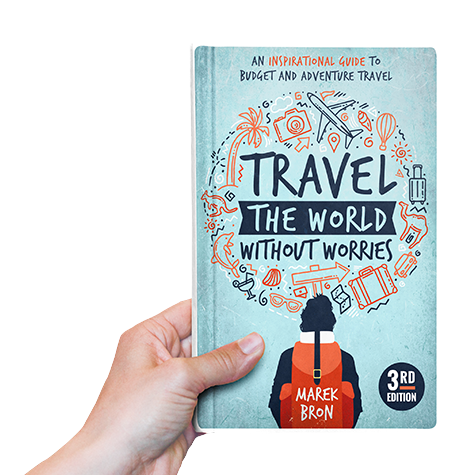 All of the destinations mentioned throughout this page more or less combine to form the tourist trail, so follow these points either north to south or vice versa. With 3 weeks in Morocco, you can do this route without rushing. 3 weeks is a perfect amount of time to really sink your teeth into Morocco. You can cover several different regions and include some great places beyond the usual Marrakech-and-Sahara tourist trail. I met some travellers who were happily staying in Morocco for many months on end and who kept finding new places to discover. For me, though, a few weeks seemed enough. This might be totally subjective, but after 4 weeks I was ready to move on and took a ferry to Spain. I love couscous and tagine, but after a while, it seemed these were the only things on the menu — and I guess I’d seen my share of deserts and riads by this time. Still, with 3 or 4 weeks to spare, you can see tons of highlights in Morocco and not get bored in the slighest! Marrakech is Morocco’s third largest city and its main tourist hot-spot. If you are on a shorter trip or just looking for the classic Morocco experience, then Marrakech will be an obvious starting point. Many trips combine Marrakech with sights in the nearby High Atlas region, and often a multi-day excursion to the Sahara desert. Expect things to be very touristy on this main trail, though it’s also a part of Morocco that’s not to be missed. 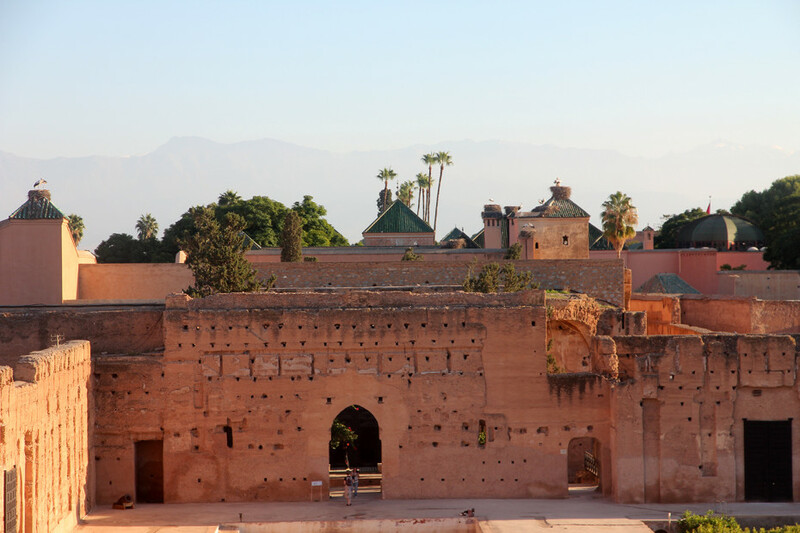 There is much to see and do in Marrakech. 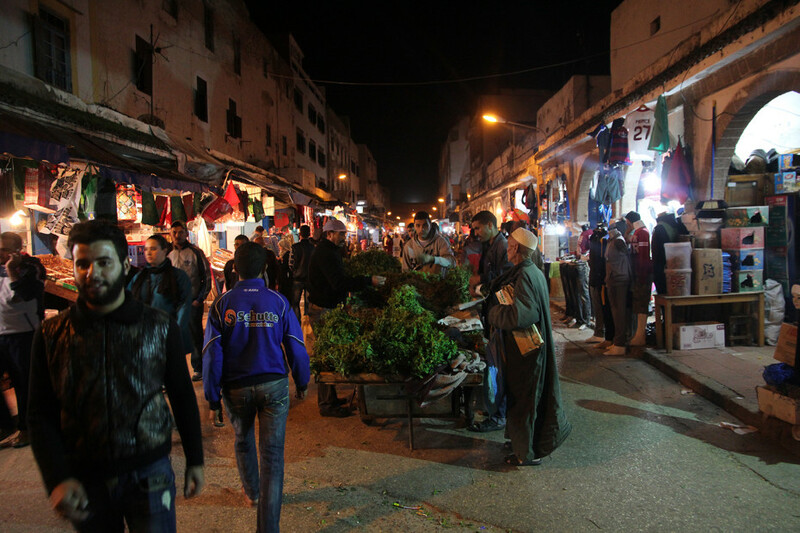 You will surely want to explore its medina (old city) with its winding alleys and its many souks (markets). The central square of Djemaa El-Fna is abuzz with activity at night, with all sorts of street entertainment including drum circles and snake charmers. While Djemaa El-Fna square is very touristy, it is a fun place to check out. Avoid eating from the food stalls here though, unless you want to pay a relative fortune. The visual overload of Marrakech is exciting at first, but you’ll probably want to head to somewhere less stressful soon. The Marrakech medina is a notorious hunting ground for hustlers and fake ‘guides’, so keep your guard up a little. After a day or two, you might be ready to move on. 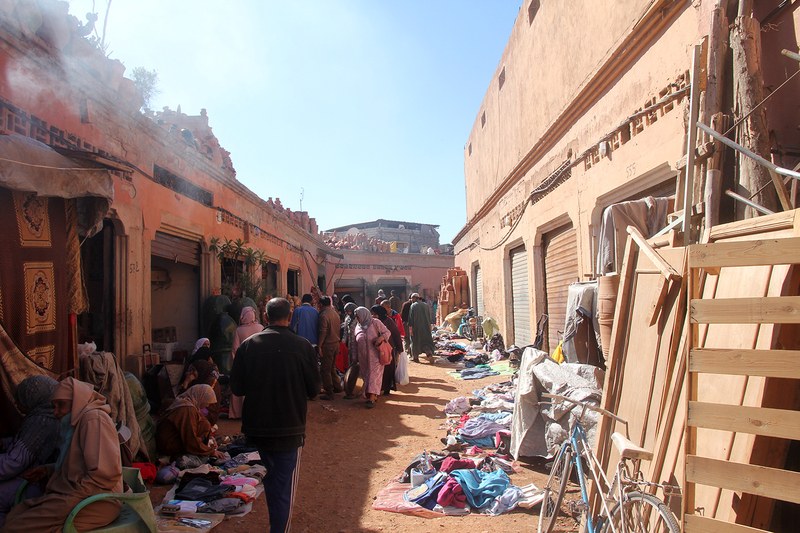 Wandering the Marrakech markets is definitely a fun immersive experience, but if you actually want to buy things it is arguably better done in Essaouira, Chefchaouen, or other smaller cities, where the atmosphere is calmer and bargaining is usually more pleasant. Tip: beware of scams and rip-offs! 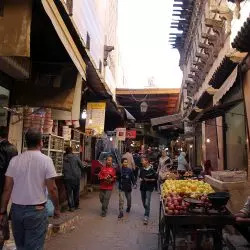 You can experience a lot of hassle in the medinas of Marrakech and Fes. Be sceptical of people spontaneously following you around to ‘help you’ in these cities—they will almost certainly try to get money off you in dubious ways. Be sure to read my post to learn about some of the common tactics and how to avoid all the scammers. Ait Ben Haddou. 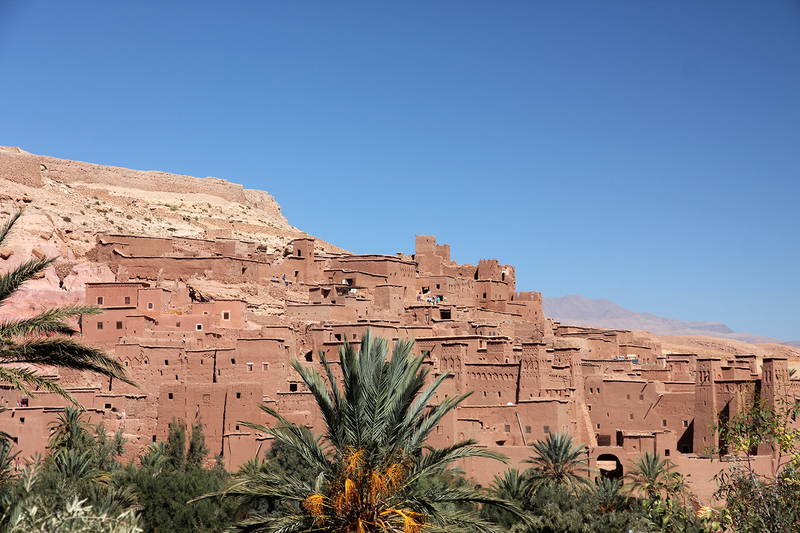 This ancient kasbah (fortress) and mud brick city is not only a UNESCO world heritage site but also a popular filming location, having featured in movies like Gladiator and more recently in Game of Thrones. It’s a touristy location but not terribly so, and I think this is a very worthwhile stop. Ouarzazate is a town near Ait Ben Haddou. Sights here include the town’s old kasbah, and a movie studio where Morocco has often stood in for other locations such as Egypt in Hollywood movies. Todgha Gorge is a deep canyon in the High Atlas region offering some spectacular scenery. The Dades Valley is a green valley around the dades river surrounded by rocky desert, often with views of interesting rock formations. The High Atlas region is also home to various small berber villages, and is a popular place in Morocco to go hiking and trekking. A camel trip in the Sahara is one of those iconic Morocco experiences. It’s understandably at the top of many people’s lists, though don’t feel pressured to include it in your itinerary at any cost. 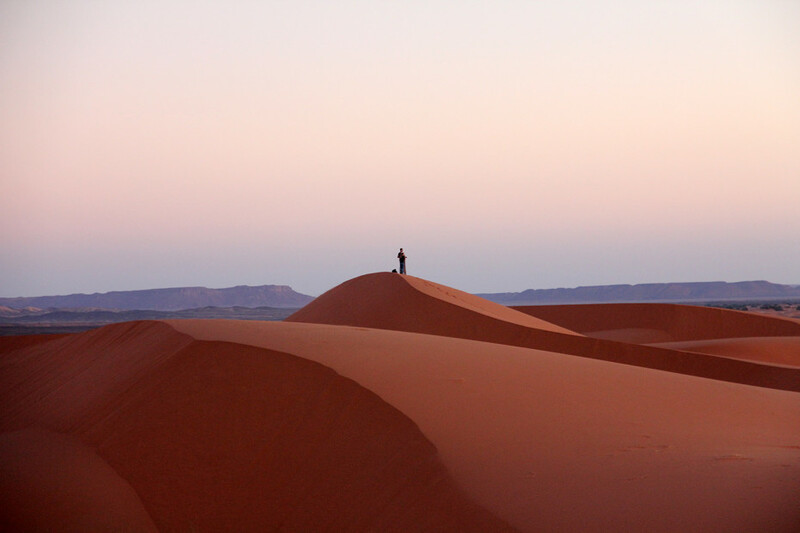 The two main places where you can dip into the Sahara, Erg Chebbi and Erg Chigaga, are both very far away from everything else. Going there may not make sense for every travel plan—it just depends on what your priorities are and how much time you have. There are many organised 3 or 4 days tours to the Sahara, but they do involve a lot of driving and some early morning starts. If you do it independently, you can of course keep your own pace. If you’re expecting to see the kind of epic Saharan dunes seen in nature documentaries or movies, you won’t quite find those here. The most impressive Saharan landscapes are said to be deep in Algeria and Libya, which are currently off-limits to travellers. The sand dunes in Morocco are smaller, though you will nevertheless be able to see sand stretching as far as the eye can see. Riding a camel through the desert is a cool experience and of course a great photo opportunity. The desert is beautiful especially at sunset, when it’s bathed in deep orange hues. Staying the night in a desert camp is fun as well, and there is usually some evening entertainment in the form of some drum sessions around a campfire. Arguably the best thing to do in the desert is to simply climb one of the dunes at night and gaze at the clear Milky Way. It’s said that there are more stars in the universe than there are grains of sand on Earth, and I highly recommend contemplating this fact while stargazing in the Sahara. Sahara tours: are they worth it? 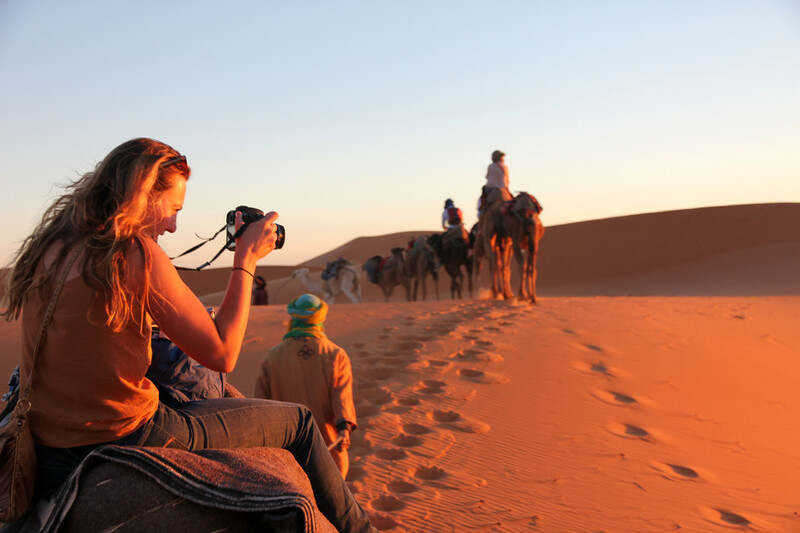 Countless local tour operators offer 2, 3 or 4 day trips between Marrakech and the Sahara desert. You can easily book these tours locally anywhere during your trip. They go to the dunes of Erg Chebbi near the town of Merzouga, or in some cases to Erg Chigaga further south. 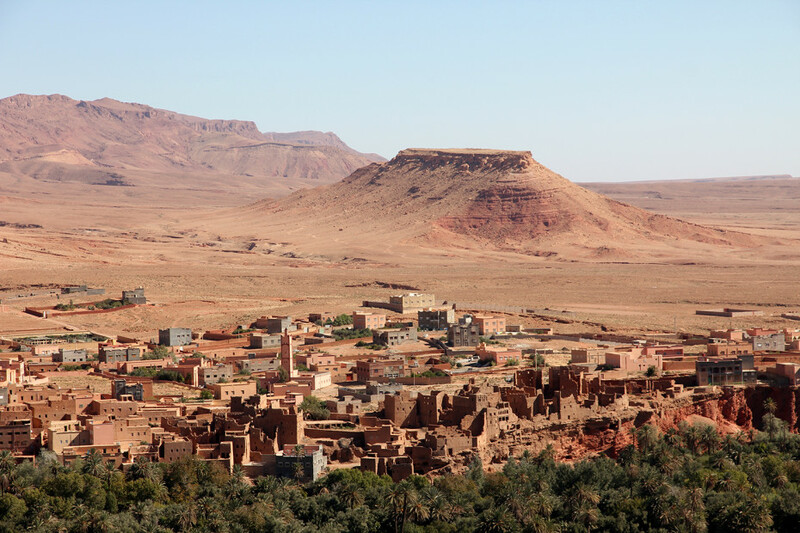 The standard itineraries typically include a camel ride and overnight stay in the desert, and stops at various sights in the High Atlas such as Ait Ben Haddou and the Dades Valley. The tours cover a lot of ground quickly, but they are not without their downsides. I normally prefer to travel independently (see also: the name of my blog…!) but chose in this case to go on a 3-day tour. I was travelling solo and joined several people on a tour, which was easier for this leg of my trip. However, if you have the time and the chance to do so, I recommend covering this part of Morocco on your own. The tours can feel rushed and exhausting because there is simply so much distance to cover, so you will mostly sit in a minivan for hours with only brief stops at most locations. Self-driving or taking local buses will definitely take you longer (probably at least 5 or 6 days starting in Marrakech), but you’ll be able to explore places more meaningfully. You can do every part of these tours independently, including the camel rides and overnight stays in the desert (which can be booked separately or on location). If you are on a 1-week excursion to Morocco and keen to see the Sahara, then just book a tour as time is too precious. If you’re solo, taking a tour might also be easier. But if you have ample time and want to do things right, it seems better to do it on your own. This is doubly true if you’re also interested in hiking or trekking in the High Atlas, or if you want to explore some of the less-visited Berber villages along the way. I’m lumping a few places together here as “southern Morocco”, covering mainly the Atlantic coastal areas around Agadir and the Anti Atlas mountainous inland areas. 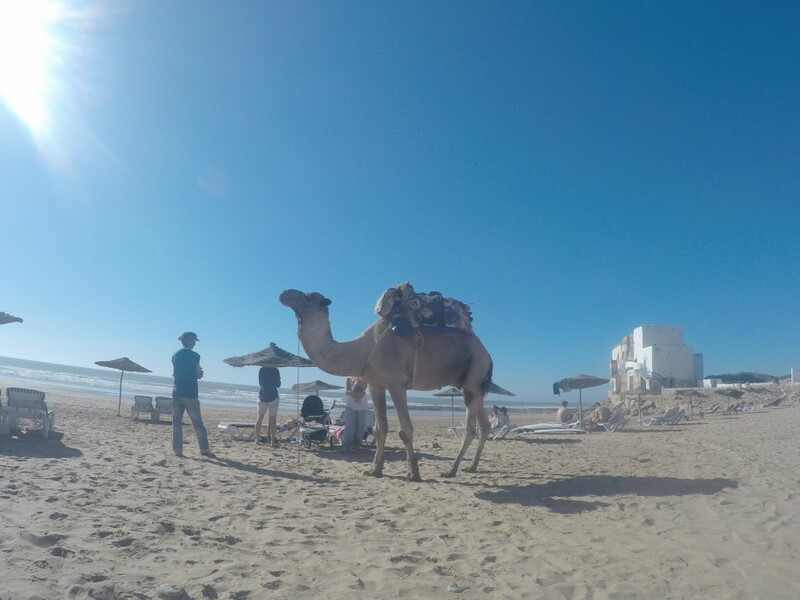 Agadir and Essaouira are the main tourist draws, while other areas here are relatively less visited and well worth it if you wish to avoid the crowds. The Atlantic coast is very popular with surfers and there are lots of surf schools around, though the big waves also mean that not all of the beaches are as good for swimming. Essaouira is a pleasant coastal city just 2,5 hours from Marrakech. When I was researching my Morocco trip many people online seemed rather ‘meh’ on Essaouira, often saying you can “see it in a single afternoon”. But when I arrived in Essaouira from Marrakech I immediately knew I’d like it, as the atmosphere just felt so much more relaxed. I ended up staying 4 nights. Your own impressions of Essaouira will probably depend on what type of trip you are on. 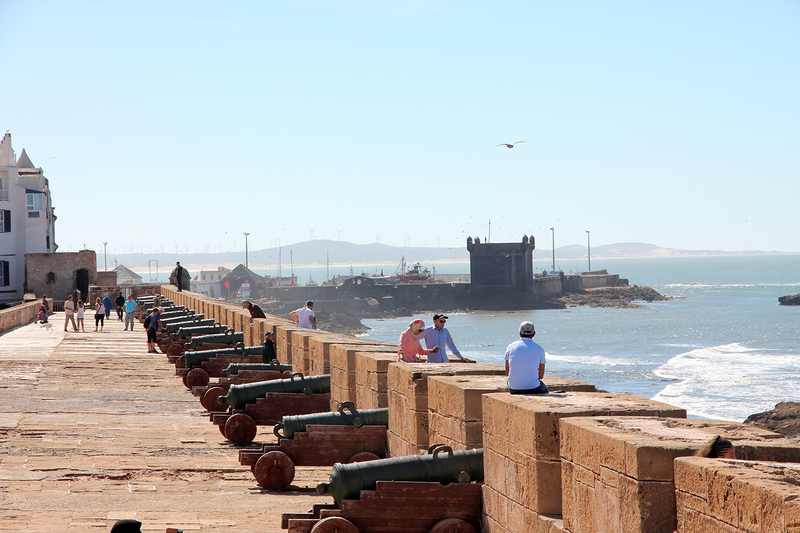 If you are mainly after sightseeing, then maybe Essaouira is just a day-trip kind of place. The main sight here is the old coastal fortress, which also happened to feature in Game of Thrones. It’s easily ticked off the list. If however you enjoy just soaking up the atmosphere for a while, then you may well like this town. It’s got a wonderful sea breeze, nice restaurants, interesting markets, and a couple of decent beaches within a 30-60 min drive distance (Sidi Kaouki beach just south of Essaouira is nice). There are several good backpacker hostels in town that can make you feel at home. I also quite enjoyed shopping for souvenirs in Essaouira, as the salesmen are less intense than those in Marrakech or Fez (even though haggling is still necessary). Don’t miss a visit to the fish market for seeing a little slice of Moroccan life as well—you can also buy some fresh fish here and ask a restaurant to cook it for you. Agadir further to the south I have less to say about, as it’s more of a standard resort built for package tourism and fly-and-flop holidays, which is not my kind of thing. If you’re travelling independently, you might not find it as interesting as many other places. Just 10 km above Agadir you can find Taghazout, which is a much nicer beach town popular with surfers. Taghazout is also a great base from which to go trekking or hiking into the Anti Atlas, with many guided treks departing from here. If you want a much less commercial and smaller-scale place, I’d recommend ignoring Agadir and heading straight for nearby Taghazout. If you like to stay in hostels, you’ll find them only in Taghazout and not in Agadir. Sidi Ifni is included in Lonely Planet’s top 20 destinations for Morocco, which is partly why I went there. The guide describes it with all sorts of flowery language, speaking of ‘art deco architecture’ and ‘fascinating Spanish influences’, but I found none of those things. Instead, it honestly struck me as an unremarkable sleepy seaside town with little to see or do. The elderly French tourists who set up their RV camper vans along the seafront seemed to like the place, but it’s a bit of a mystery why the Lonely Planet editor was so enamored with it. If you have time to spare then Sidi Ifni is worth a look, but I would probably temper what some of the guidebooks have to say. Arguably of more interest than Sidi Ifni itself are some of the smaller nearby seaside towns (like Mirleft) and interesting beaches with red rocky cliffs (like Legzira beach 10 km north of the city). Tafraoute however made me very glad to have visited southern Morocco. Located in the Anti Atlas mountain region, it is surrounded by gnarly rock formations that reminded me somewhat of northern Mexico. The town itself is very pleasant and welcoming with some good accommodation options, a local market, and a handful of restaurants. There are some groups of day-trippers coming here on tours from Agadir, but it’s much nicer to go to Tafraoute independently and spend a night or two there. 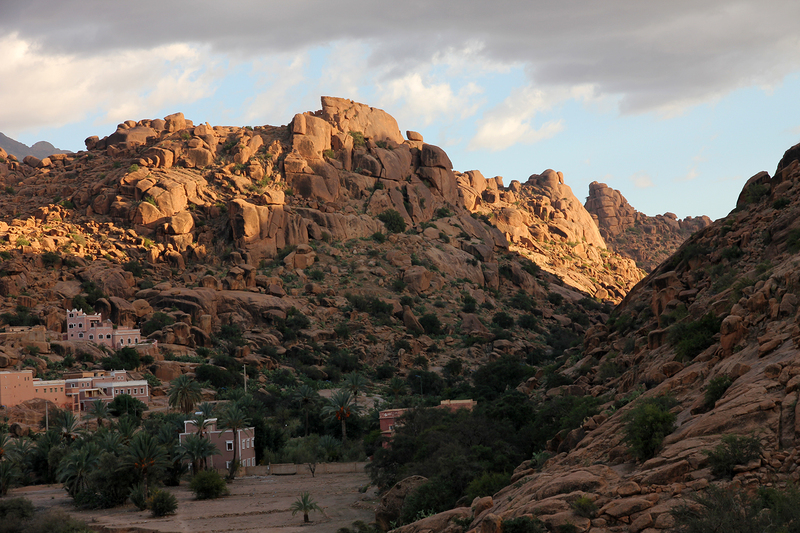 Tafraoute a great base for trekking as well as mountain biking. You can rent mountain bikes from two companies here, who will drop you off at a trail that takes you past many oases and interesting rock formations. Tafraoute takes a little while to get to (it’s 6 hours from Agadir) but I found it more than worth it for the surrounding landscapes alone. The north of Morocco is home to (among others) the city of Fes, various Mediterranean beach towns, and several small mountain towns including the almost painfully picturesque Chefchaouen. 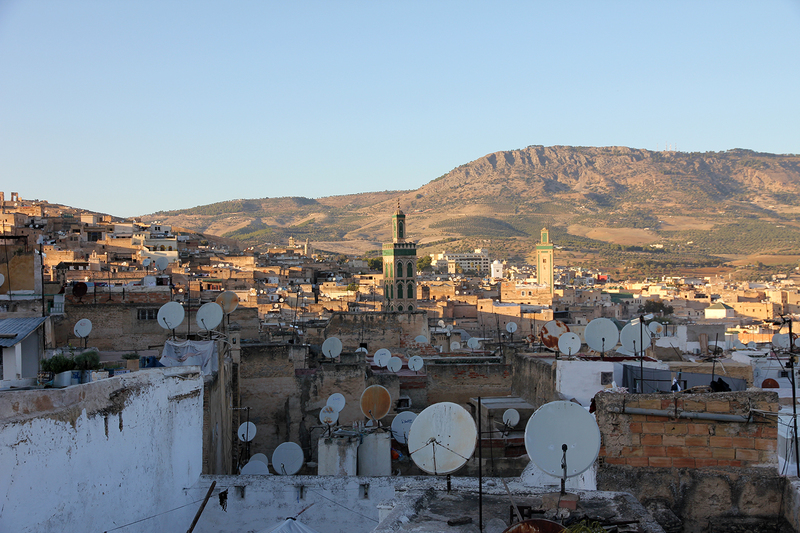 Fes is famous for having two ancient medinas (old cities) that together form the largest medina in the world. It’s a big maze of narrow passageways where the main arteries are lined with shops and market stalls, but where its many tendrils are sometimes just a meter wide and often eerily quiet. If Fes is your first stop in Morocco then its medina might be slightly overwhelming, so take your time to adjust to the city. 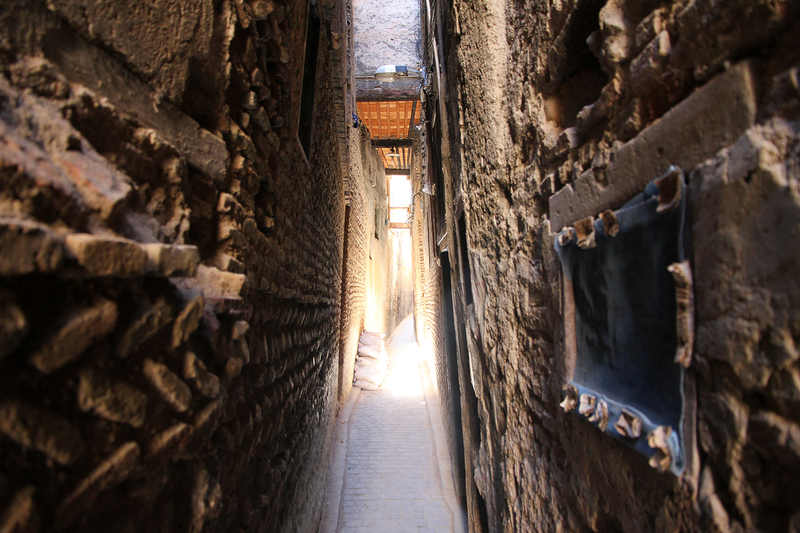 If you have already seen other medinas in Morocco then the one in Fes still takes the cake, as you can just get lost endlessly here in ways you can’t in the smaller medinas. 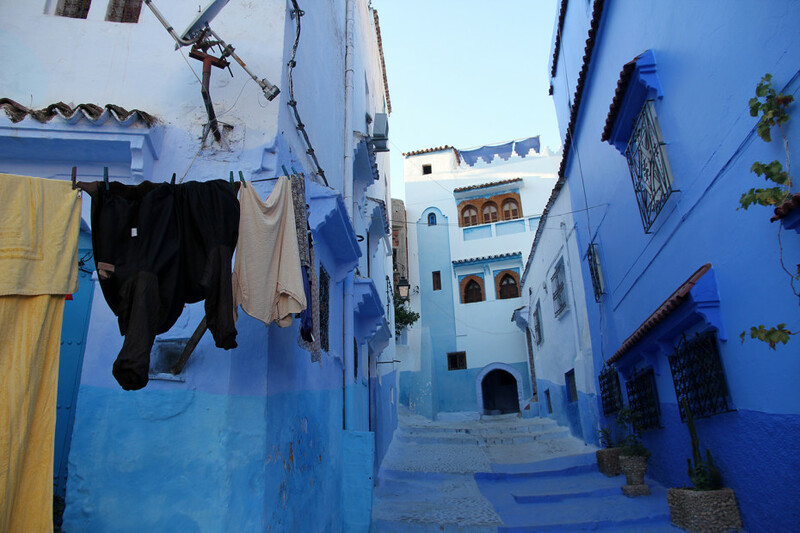 Chefchaouen is a town famous for its blue and white houses, and it’s quite possibly the prettiest town in Morocco. It is a little reminiscent of Mediterranean towns in Greece like Mykonos, with lots of cute streets as well as a small and pleasant medina. Chefchaouen is a nice place to hang out for a while, though it’s also a good base for hiking and trekking; you can climb one of the surrounding mountains on a day hike, and there are companies organising multi-day treks as well. A popular point of interest in the area is the so-called ‘Bridge of God’, a 25m high rock formation that extends over a river valley. Chefchaouen is also known for its more or less open sale and production of marijuana. Guides do point out that it’s still a “family friendly” destination, by which I suppose they mean that you won’t be around people smoking hasj if you don’t want to. It’s true that Chefchaouen shouldn’t be pigeonholed as there’s clearly much more to it than just the local ganja, despite what some travellers may think. Don’t miss it as it’s one of the Morocco highlights. 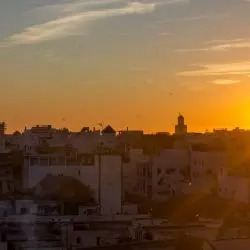 Other popular destinations in the north include the Roman ruins of Volubilis near Meknes, the picturesque town of Moulay Idriss and the seaside town of Asilah near Tangier. These are all places worth looking into if you’re going to northern Morocco. Cities such as Rabat, Casablanca and Tangier typically don’t feature in many tourist’s travel plans. I must confess I also haven’t been to these cities myself, as I kept hearing somewhat lukewarm stories from people who had, as they are modern cities with less to see for visitors. 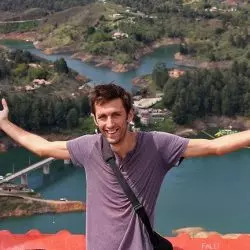 However, I have also heard some amazing stories from travellers who went couchsurfing in these cities, and who discovered some amazing local experiences that made up for a relative lack of sights. It seems these parts are best enjoyed when you have a local connection. English is generally spoken by hotel or hostel staff and professional tour guides, but beyond this you’re unlikely to find many English speakers. French is spoken much more widely as a second language, so if you have any French knowledge it will certainly help you with basic communication. There are exceptions with metropolitan cities or younger generations, but Morocco is a fairly conservative country overall and some sensitivity in dress style is required. I was told that the general rule is to cover your shoulders, and not to wear very short trousers (but knee-height shorts are okay). Tank tops are generally a no-no in Morocco. All of this goes for both genders. For women, blending in will help reduce unwanted attention from men (which is a common problem for female tourists in Morocco). While you don’t have to wear a headscarf, it’s worth draping a scarf over your shoulders or wearing trousers or a long dress that covers your legs. Occasionally you’ll see a less considerate tourist walking around in hot pants and a tank top, but this can be very offensive to some but also increase the level of hassle exponentially. Due to the Muslim faith, alcohol is not widely available in Morocco. That doesn’t mean it’s impossible to find alcohol, but it isn’t part of the culture. If you’re expecting to have a nice cold beer on a restaurant patio, you’ll usually be disappointed. Bars do exist: some cater almost exclusively to tourists, others are kinda weird local dives filled only with men. Hostels or guesthouses will sometimes sell a few beers if you inquire. If you find a European style supermarket like Carrefour they will carry alcohol, and sometimes there’s a local liquor store in town. If it’s important to you, alcoholic drinks are basically something you have to seek out rather than expecting it everywhere. Comfortable tour buses from the companies Supratours and CTM connect the main destinations. Some popular routes (such as Marrakech to Essaouira) have Supratour or CTM buses pretty much every hour. Other routes, such as those to a small town like Chefchoauen, tend to have only a couple per day, so here it’s worth booking ahead. If there isn’t a comfy Supratour or CTM bus available right away, you may also be able to find a creaky local bus that will get you there a little slower. There is one major train line running in Morocco, going from Tangier to Fes, Casablanca, Rabat, and Marrakech. This is a comfortable option, especially if you want to cover long distances between northern and central Morocco. It’s worth getting the 1st class upgrade, which is a bit more comfortable but still isn’t so expensive on a Western budget. Sometimes it works out well to take a taxi between towns or cities. I did this on a couple of 1 or 2 hour legs in my journey where buses weren’t immediately available (for instance between Tiznit and Agadir, and between Tangier and the Tangier Med ferry terminal). A shared intercity taxi might cost around 30 Dirham for a 1 or 2 hour journey, though keep in mind that in Morocco it’s not uncommon for up to 7 people to share one regular size taxi (with 2 people sharing the seat next to the driver). While somewhat uncomfortable, it’s fun to travel in this local style at least once. Women are sure to experience Morocco very differently from men. Female travellers confirmed to me many issues around unwanted attention from men, including cat calling or even men following them around. Dressing conservatively helps to a degree but does not eliminate this everyday annoyance. While not necessarily threatening, many women nonetheless were clearly very irritated by this aspect of travelling in Morocco. The behavior doesn’t occur when they’re accompanied by a man, and is worst when walking around alone. I was in Marrakech and Casablanca and I fell in love. Casa with the beach, Morocco Mall and beautiful Hassan II mosque and Marrakech is… Marrakech. There´s no word to describe that city. I wish I’d taken your advice regarding the 3 day Sahara tour Marek, it was indeed rushed and exhausting! If I were doing it again I’d spend more time around the Dades Valley instead – stunning area and such a shame to pass through it so quickly. Hey Steph. I had the same thought when I passed through the Dades Valley. So beautiful, and I didn’t get to spend enough time in it! First of all, thank you for the efforts and the great articles concerning your Moroccan experience. We live in Marrakech and get reports from travellers and their experiences when surfing the medina or at least some districts. In general both genders are offered things for sale in shops or invited for cups of tea, some have reported their credit cards were charged twice either accidentally or meant by the merchant but managed to get their money back. Some have have reported being approached by young guys to invite them out. In terms of crimes few case reported their camera was stolen or purse but not really bad to make the travellers worry that much as long as they are vigilants. Thank you for your beautiful sharing. Its very helpful tips for those who are interesting in visiting Morocco. Gorgeous pictures. I love the idea of the day trips from Marrakech . I would also recommend tafraoute and Tizinit. I booked it from the hostel I was staying at (here’s their site). I can’t recall the exact cost for the trip but it was under $100. Hello everybody, I’m a moroccan guy who would like to Thank all visitors to Morocco, about their great comment! Expect daytime temperatures to reach 27°C with on average 9 hours of sunshine per day in Morocco in May. Morocco is a rich and colorful place. It’s definitely worth traveling to. Great job creating such a detailed write up as always! The way you had this organized makes its easier to plan out for reader! Hi! I went to Taghazout to surf, as you mention in your blog post, and it was an amazing experience! I had never tried it before, but I learned the sport quickly and it was great! I didn’t stay at Lunar Surf House as you recommend, but at Adventurekeys surf camp instead. It was a great place and lovely guest. The staff was amazing and the guide was good at finding the best spots for the day. I can really recomend the hostel to other travelers and you, next time you are going. Great and helpful article. Morocco is beautiful! Keep up the good work! I did not have a nice time in Morocco. We booked a riad in Marrakech that had good overall score and comments over booking.com. The place was really nice. Next day we booked the guide who did not know English and who took us shopping leaving us alone in the stores and we ended up overpaying for stuff. We were furious. We paid this tour 50 euros to get cheated and the only reason we took a guide from riad was because we thought it was safer like this. At the end they gave us another guide next day but the money we overpayed we never saw again. Also I never felt secure like I can look around by myself even being there with my boyfriend. The moment you are not with a local person everybody tries to take your attention saying that the road is closed, overcharge you etc. Medina is also confusing first days and its difficult to find recommended places, where you can pay these affordable prices, usually tourist restaurants charge you Europe prices. Morocco is not a cheap destination. This post is very helpful as I plan to travel solo to Morroco for a week next month. As a female traveler I do have my concerns about overnight train trips, let´s say from Fez to Marrakech. Would you recommend taking the train at night? I am also having troubles finding a good deal with desert trips as they give me the “solo traveler” price, and I can´t find people to join me yet! I have not taken a night train in Morocco but given that it’s a closed and supervised environment I imagine there aren’t major issues to worry about. Always look after your belongings though. It is possible to do the desert trip without a solo supplement. I booked my trip locally through a hostel and had a private room in the hotels and a shared tent (with 10 or so people) for one night in the desert, and this was without paying extra. You may be able to get a better deal locally than on the internet… there are loads of tour companies heading to the desert every day. Marek, thank you very much for sharing a link to our guide to Marrakech, we feel very honoured! We loved reading your guide and have always been fans of your blog. We wish you safe travels and hope to bump into you one day for a drink. as moroccan , i can see that this post contain many false informations like language , Mosques ( you can enter just ask before ), Dressing appropriately ?? You’re welcome to give any corrections. Note that underneath the map I explain why the Western Sahara isn’t displayed on the map – I’m focusing on the most-visited areas. The general advice for visitors in Morocco is not to expect entry to mosques as a non-Muslim, and I personally found no examples to the contrary. However, if you have more specific information, readers may appreciate you sharing it! What is the best time to visit Morocco climatically? When did you visit it? I was there in Oct, which is in the shoulder season and so not too busy. The weather was also very pleasant (hot/sunny during the days, cool at night.) I believe the difficult months climate-wise are Jun-Aug when it gets super hot. Thank you so much for linking to our Imessouane post! It’s an honor to be featured on your page. Hopefully the word will spread and many more people can discover this amazing place. This was truly a wonderful and descriptive guide, Thanks a lot ! It’s hard to say as I wasn’t taking many notes of my expenses. I guess I spent at most around $1000 / €1000 in one month. You’ve really captured what would be described for many as an undiscovered jewel of Africa. I’ve seen a bunch of articles about Morocco lately- it seems to be the place to go but this is the most in-depth I’ve come across. Hoping to make it at some stage next year so thanks for the ggreat info! Very interesting and helpful guide. I never really thought of Morocco as a backpacking destination, but this has definitely changed my mind. Seeing as I’m based in Spain at the moment, I think a trip over the Mediterranean is called for!